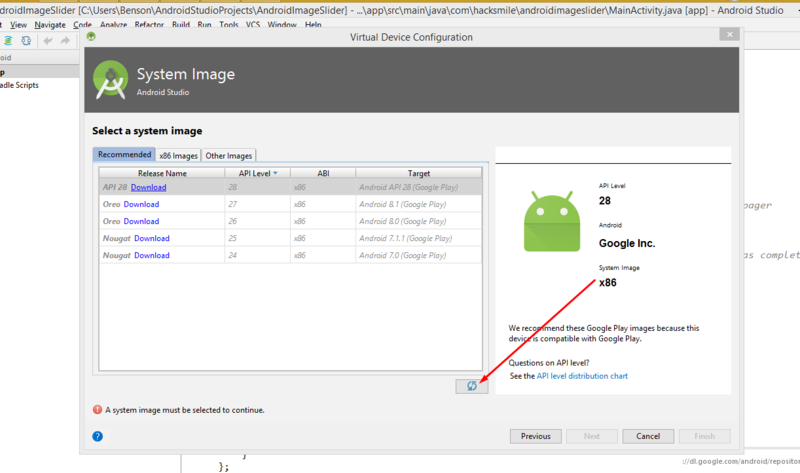 Generally, “A System Image Must be Selected to Continue “ is an android studio error, encountered when attempting to run your Android application through Android Virtual Device(AVD), sometimes this error can read as, “No System Images available. Are you connected to the internet?”. 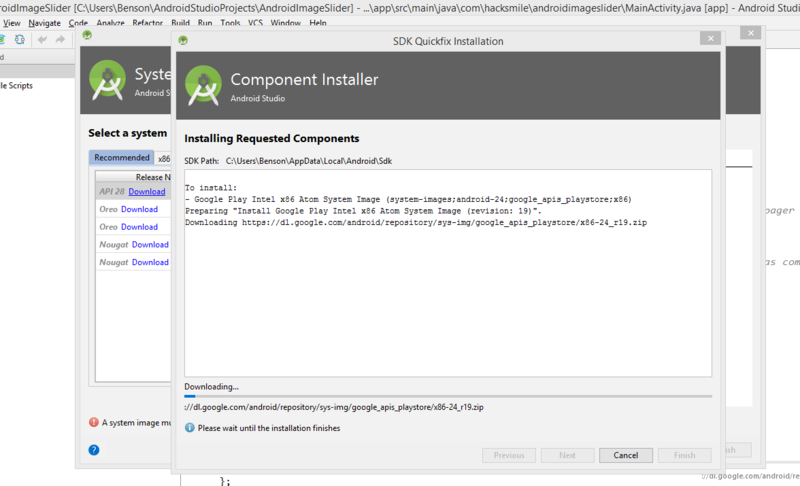 This error tells you that, intel x86 atom system image is not available in the android SDK. This error is encountered for most new installations of the android studio. To solve this error, just create a new application and attempt to run, you might see this message on your screen: “No System Images available. Are you connected to the internet?” That simply tells you that you will need to be connected to the internet to download Intel x86 atom system image. Please note download may take a while, again it might depend on your internet connections. Now you are ready to test Android applications on Android Virtual Device.